1) Did you know that vitamin C can be of benefit to those suffering from Alzheimer's Disease. A major benefit of vitamin C is that is acts as an effective antioxidant to reactivate vitamin E. Vitamin E has been scientifically proven to help prevent the type of increased free radical damage seen in Alzheimer's disease and may slow the progression of the disease. 2) Vitamin C can decrease your risk of anemia. Vitamin C increases your absorption of iron. An iron deficiency can cause anemia. 3) Did you know that vitamin C has been proven to decrease the symptoms of arthritis. This is one of the many benefits of vitamin C that people don't know enough about. Vitamin C is an anti-inflammatory which can be of benefit to those suffering from arthritis and can help reduce inflammation during flare up. 4) Vitamin C promotes faster healing from muscle strain. If you're an athlete, work a physically very active job, or just lead an physically active lifestyle, this benefit may be very valuable to you. Vitamin C has be proven in scientific studies to reduce muscle soreness and promote healing in strained muscles. Taking a daily dose of vitamin C can keep pulled muscles and back strain to a minimum. 5) Another "secret" benefit of vitamin C is that it can prevent (or better) bad breath. There are many causes of bad breath. Diet, poor hygiene, and dehydration can all be associated with this embarrassing but common problem, however; one of the leading problems of bad breath is gum disease. Vitamin C helps heal gums and prevent gum disease. 6) Vitamins C can improve respiratory symptoms associated with asthma and bronchitis. This vitamin has anti-inflammatory effects that can reduce inflammation in the major air-carrying tubes in the lungs.It increases lung function. Vitamin C also decreases cough. 7) Vitamin C can aid in scarring and bruising. People with inadequate vitamin c tend to be more susceptible to bruising. It plays a role in the formation of collagen which is key to scar and bruise healing. Vitamin C can be of most use to those nursing surgery scars. 8) Did you know that vitamin C can reduce constipation. Another benefit of vitamin C is that Vitamin C can act as a mild laxative. Taking vitamin C on a regular bases can help keep you regular, especially if you tend to suffer from constipation due to poor diet and other lifestyle choices. 9) Did you know that vitamin C can lessen the symptoms of eczema and some other skin diseases. 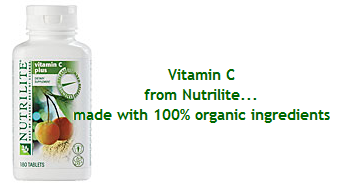 Vitamin C is an antioxidant that reduces the severity of rashes associated with some skin conditions. 10) Did you know that vitamin C can raise good cholesterol levels. Vitamin C has a modest effect on raising levels of good HDL cholesterol levels and can benefit and overall program for cholesterol.